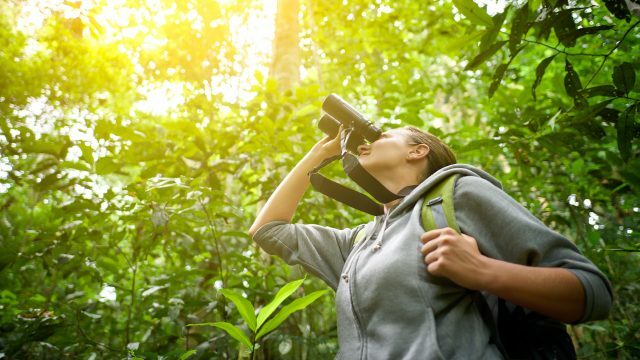 With its different types of animals, about 2.000 species of plants, 405 of birds and more than 400 of trees, the Tortuguero National Park, at the Costa Rica´s Caribbean coast, is a natural paradise. It´s between the months of March and June, in the case of the Baula turtle, and July and October, for the Green turtle, that these animals come to Tortuguero during the nights to place their eggs at the beach; a situation that´s particularly attractive to foreign tourists. The tourists, with the company of a local authorized guide, get amazed by the entire process that the animals go through, from the moment they leave the water until they come back to it. 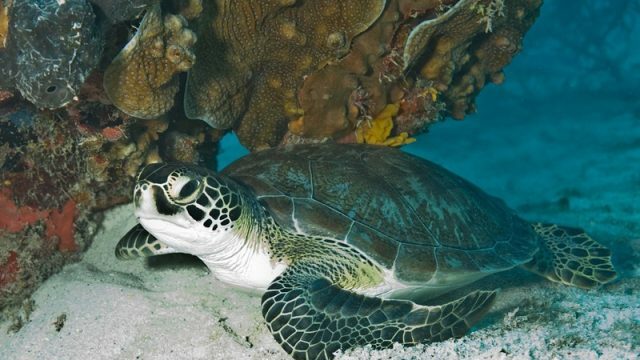 It is important to emphasize that the Green turtle can weigh up to 230 kilograms, while the Baula is much bigger, and can reach about 500 kilos. Once they leave the salty water –slowly but steady- the sea turtles start looking for the perfect spot at the beach to spawn their eggs. With the perfect place located, they begin to dig a nest between 50 and 75 inches deep. Curiously it´s believed that they chose the place based on the temperature and humidity of the sand. A couple of minutes later the spawning begins, and it´s a process that under no circumstances should be disturbed. When the turtle finished laying the eggs (can be up to 100 or even more), a couple of hours later, it stars covering them with sand. The turtle uses its back fins to do this. Then, it uses its front fins to completely cover the hole and flatten the surface. That’s when, exhausted, the animal goes back to sea. Never again will it return to the exact location of the spawn. About two months later, dozens of little turtles will begin their own adventure. They have to leave their eggs, dig in the sand until they reach for the surface and then wait for the night or dawn to start their race, in groups, against all odds, towards the sea. It is yet, another amazing sight you can enjoy at its most, at Tortuguero, Costa Rica. 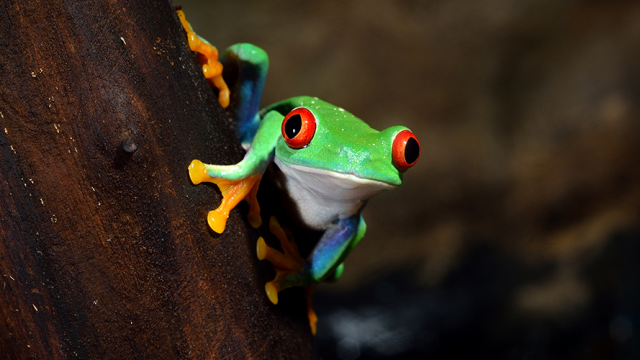 Do you know the famous Red Eyed Frog? At Tortuguero it is part of the landscape!